A few weeks ago, we published The Golden Age Of Mids? and asked whether we're entering a golden era for mid-strength beers in Australia. There are more available than ever before and brewers are managing to find ways to pack them full of character too. We then set about sourcing them, picking up as many as possible from retail in order to reflect the experience of our readers, while making sure we grabbed the freshest from the fridges where there were multiple batches. Where this wasn't possible, we had those that made the list sent to us by brewers direct; where they came from and their packaged on/best before dates are included below. The judging followed the usual methods – outlined here. Given mid-strength isn't a style like, say, American pale ales, the lineup included some variation. A few beers were tagged session IPAs so the panel – a mix of beer writers, brewery owners, brewers and sales reps – was notified when any beers in the flights were designed to be something other than a straightforward lower ABV ale. Before we get to the leaderboard, a couple of observations. Perhaps the most encouraging was that, at times, it was easy to forget we were assessing beers typically 3.5 percent ABV or under. Many exhibited pretty distinct hop characteristics; in a couple of cases, it almost seemed as if there was too much going on. 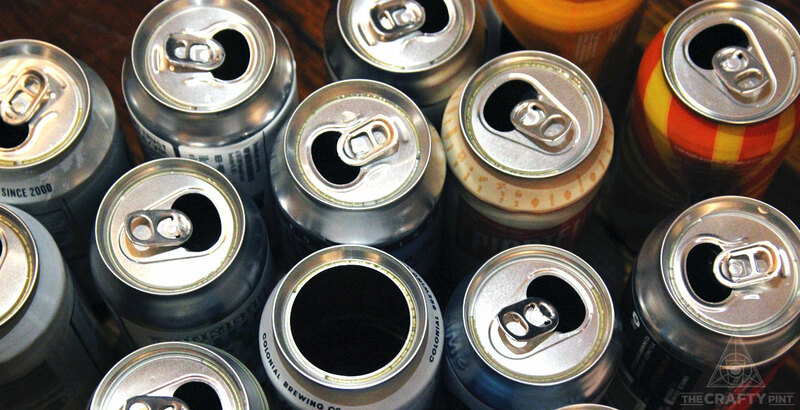 Aside from that, there weren't too many you might characterise as "donuts" – with nothing in the middle due to the need to keep the booze content low – and a few with pretty complex profiles across the board. 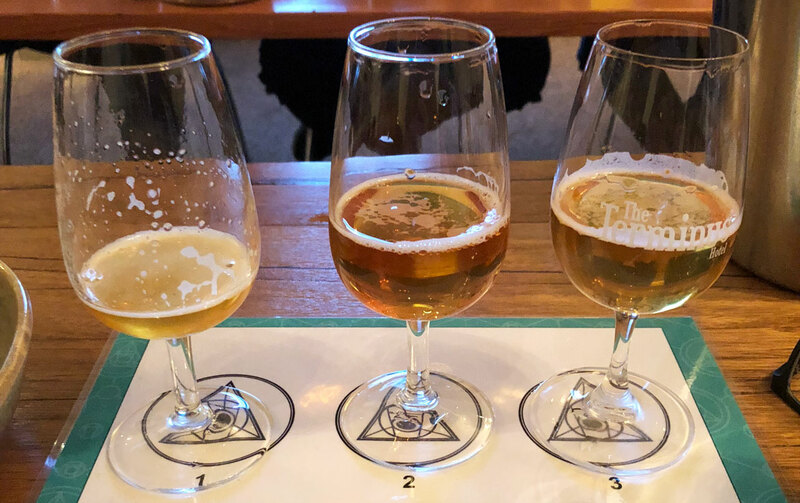 As for the results across the panel, while there was the odd disagreement there was more consensus – five of the six at the table had at least three of the top four beers in their individual top five. So, what were those top beers...? We ended up with a ladder that included at least one beer from each state, representatives from both independent and major brewing companies, and a mix of old and new too. The beer that topped the pile, Piss-Weak Sauce, even had one panelist announce mid-tasting: "This has restored my faith in mid-strengths!" As for Rogers', it stood out due to its appearance but no one at the table could deny its layered malty appeal or subtle fruity aroma, while the other beer of a darker hue in the lineup, Little Bling, really does do a remarkable job of packing heaps of malt and hop character into its 3.5 percent ABV. Captain Sensible's appearance in the upper echelons demonstrates how head brewer Scotty Hargrave and his team know their way around delivering enjoyment in small packages. And the Small Ale from Colonial – a pioneer in the field – held up well despite being among the older samples we'd picked up (not that this was of any comfort to the Colonial head brewer when we bumped into him later in the night who wished we'd ended up with something fresher!). Moorebeer's Hoppy Mid almost didn't make the tasting after it ended up at a courier's depot; thankfully, we were able to collect it just in time – look out for a story on the brewery on the site soon – while 4 Pines' most recent addition to their core range, the Pacific Ale, and Moo Brew's "Tassie Mango" rounded out the ten. Bad Shepherd Tiny IPA (from brewery; no date); Beerfarm Calm Ya Farm (from brewery; packaged 09/10/18); Blackman's Local Standard Ale (from brewery; no date); Bodriggy Speccy Juice (Carwyn Cellars; no date); Green Beacon Half Mast (Far Side Beers; packaged 30/08/18); Hargreaves Hill JNR (Far Side Beers; packaged 07/03/18); Hop Nation The Patron (from the brewery; packaged 05/11/18); Little Bang Little Banger (Carwyn Cellars; packaged 23/10/18); Nail MVP (from the distributor; best before 29/05/19); Ocho Happy Place (from the brewery; no date); Stone & Wood Garden Ale (from the brewery; packaged on 25/10/18); Venom Refreshing Ale (Carwyn Cellars; best before 28/08/19); Young Henrys Stayer (from the brewery; best before 01/08/19). For our final blind tasting of 2018, we'll be looking at NEIPAs so if you've got one you'd like included please drop us a line. 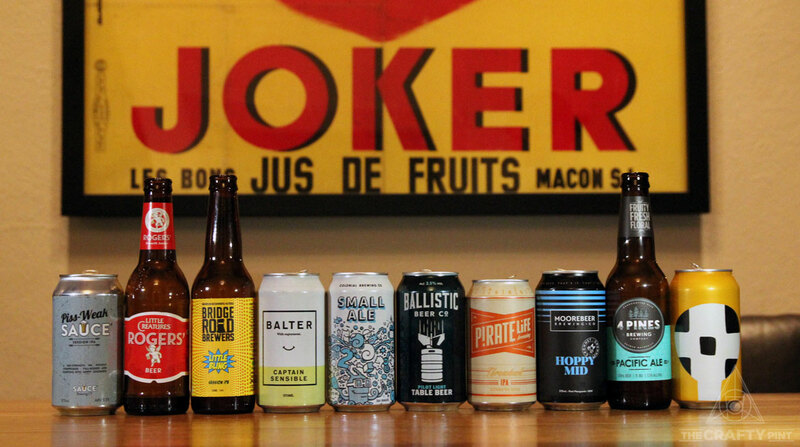 If you're in Perth for WA Beer Week, you can join Crafty Pint founder James Smith for a sours blind tasting at The DTC on November 24 – details here. And you can find all past Getting Blind With Crafty articles here. Thanks to the crew at The Terminus for letting us use their upstairs room for the tasting, to the panelists for giving up a Friday evening and Pete "Prof Pilsner" Mitcham for overseeing the stewarding.